Stage 1... bolt on real horsepower! The M3 is a vehicle for pushing the limits, and having a blast doing it. Active Autowerke and VAC know that well. Now we have it – and an amazing 150% power kick comes along for the ride. This carefully engineered kit matches the HKS GTS8550 supercharger with the perfect hardware, software and tuning to take the factory 240 HP straight up to 360 HP (with the potential for even more power with upgrades). Best of all, if your craving for more power is still insatiable, there is a higher upgrade LEVEL 2 featuring more boost and a front mounted intercooler... The Active Autowerke supercharger systrem is truly modular and fully upgradeable. Running on 91-93 octane pump fuel with full emissions system intact, this system has stood the test of countless dyno runs, many many thousands of street miles, and delivers thrill-worthy performance on demand while still retaining that BMW feel for a comfortable daily commute. This AA Supercharger kit is famous in the industry for reliable, consistent, large power gains with excellent driveability, torque and top end pull. With hundreds of thousands of miles put on these kits over the years, this proven kit for you M3 is suitable for a weekend toy or daily driver. Choose this supercharger for reliable power deliver, high torque and smooth response. Here at VAC motorsports, we have many fast AA supercharged E36s and just as many happy customers. Stage 2...Reach 420 HP- easy! The Active Autowerke Stage 2 Upgrade is the perfect compliment to your existing BMW supercharger Stage 1 system. This is a complete bolt on upgrade for BMW E36 M3 (1995-1999) creating up to 420 bench horsepower! You will have more power than the factory BMW E46 M3 and the V8 powered E9X M3! Active Autowerke is the only company that offers a stage 2 intercooled system for the E36 328 and M3. Paired with their state of the art hardware and industry leading software, this upgrade performs awesome. With an additional 65+ horsepower over Stage 1, this intercooled system is a must for the true E36 enthusiast. SAMCO - M50 / S50 us SamTech Intake Elbow – Let your supercharger kit flow! Eliminate the factory elbow from slipping. VAC Supercharger Camshaft Sets (BMW M50/M52/S50/S52) – Looking for even more power? 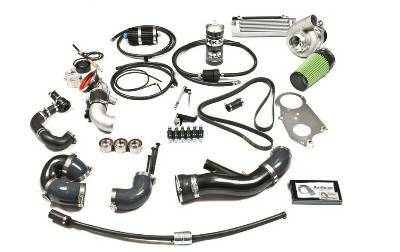 Add our VAC S/C cam kit!